Limitless TM Wireless Switch Series. 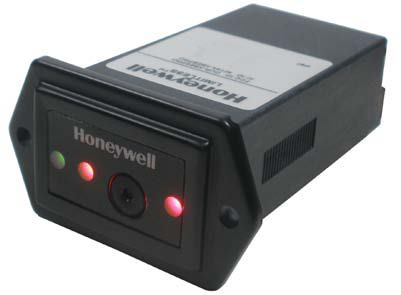 Honeywell´s LimitlessTM product line combines the best of Honeywell´s global limit switches with the latest commercial state-of-the-art wireless technology. Wireless-enabled limit switches can be used for position sensing and presence/ absence detection for an endless number of applications. The LimitlesTM Series is especially beneficial for remote monitoring applications where wiring or wire maintenance is not physically possible or economically feasible. Combining this greater flexibility with proven harsh-duty packaging can result in increased efficiencies for machines, equipment, OEMs, and operators. Further information in the catalogue „Limitless TM Wireless Solutions“. The new Limitless™ product line combines the best of MICRO SWITCH™ limit switches with the latest commercial off-the-shelf wireless technology. The Wireless Panel Mount Monitor will provide a visual, audio and NPN output based on a signal received from a Limitless™ switch. 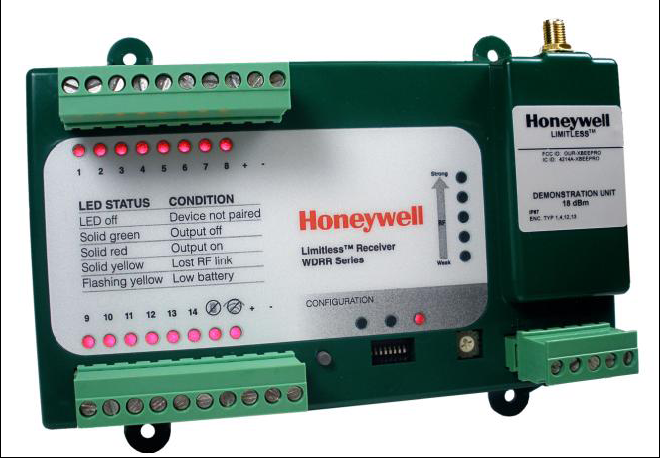 The Wireless Panel Mount Monitor will provide immediate indication of an actuator position change of the wireless limit switch. [1.25 in H x 1.748 in W x 2.925 in D] ref. [3.5 in H x 6 in W x 1.5 in D] ref.